Refugees themselves are the one group of people invariably absent from international negotiations about refugees. 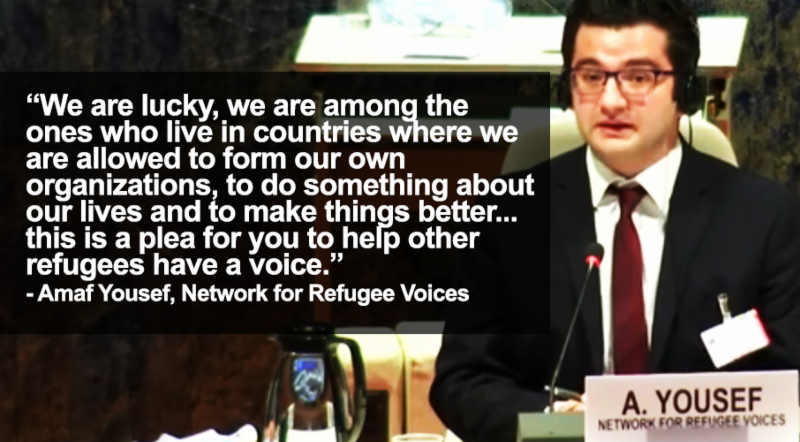 The Network for Refugee Voices (NRV) was set up to fix this problem. From the Global Compact on Refugees process in Geneva to the UN General Assembly and Global Mayor’s Summit in New York, members of the NRV are tirelessly advocating for the principle that no refugee policy process is legitimate unless refugees have a seat at the negotiating table. ID is proud to provide diplomatic advice and strategic support to the Network.